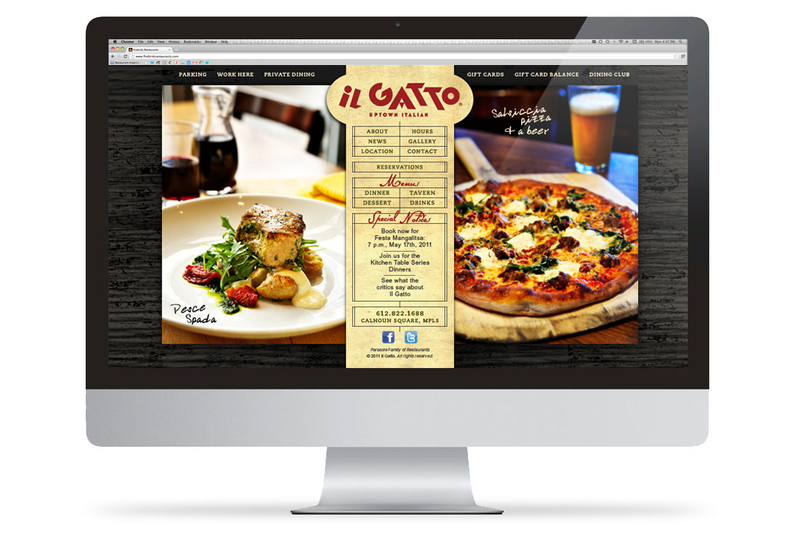 An Italian restaurant and bar located in the Twin Cites’ most diverse neighborhood, Il Gatto (“The Cat”) combined a casual ambiance with a high caliber of cooking. Reflecting its forward-looking, streamlined interior, we created a brand identity whose subtle references to the Italian futurist movement communicated Il Gatto’s departure from the same-old, same-old. 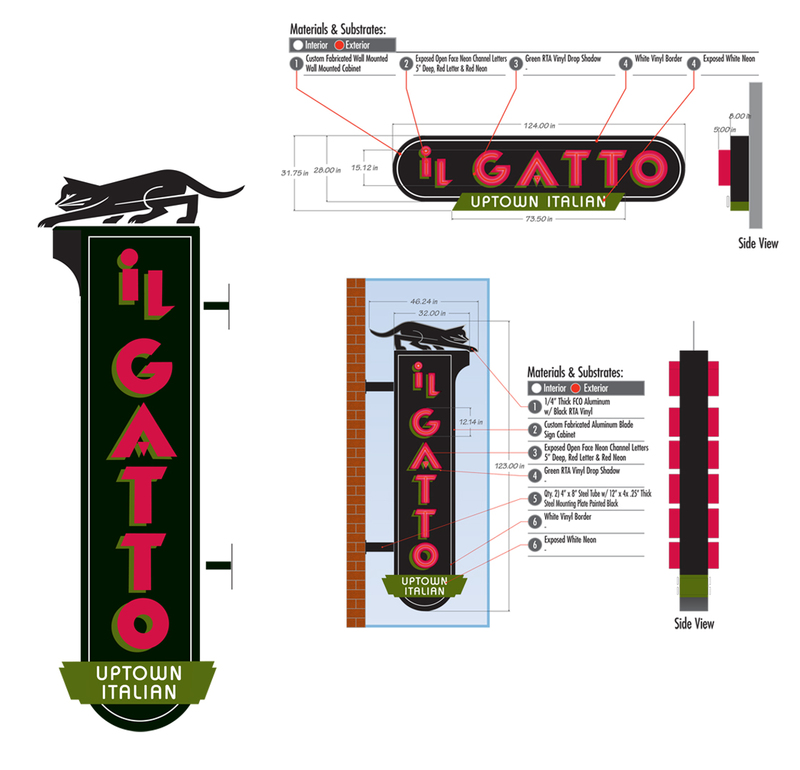 Supervox created a vertically-oriented logo for Il Gatto and designed its blade sign. 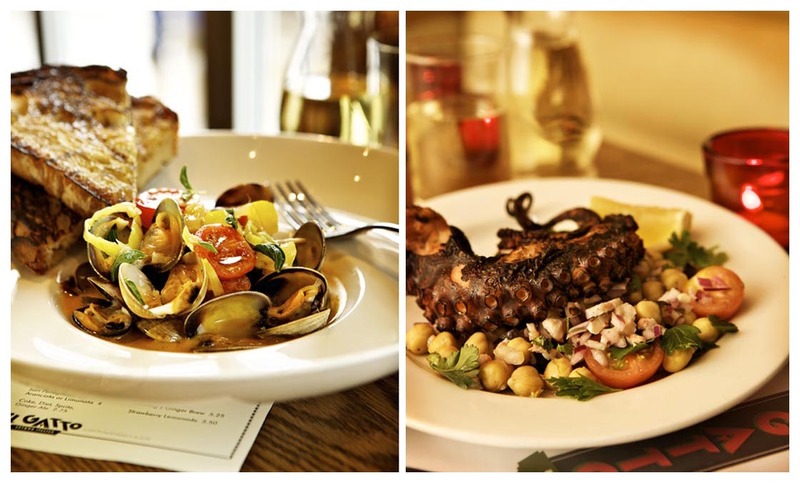 Supervox art directed much of the restaurant’s food photography. 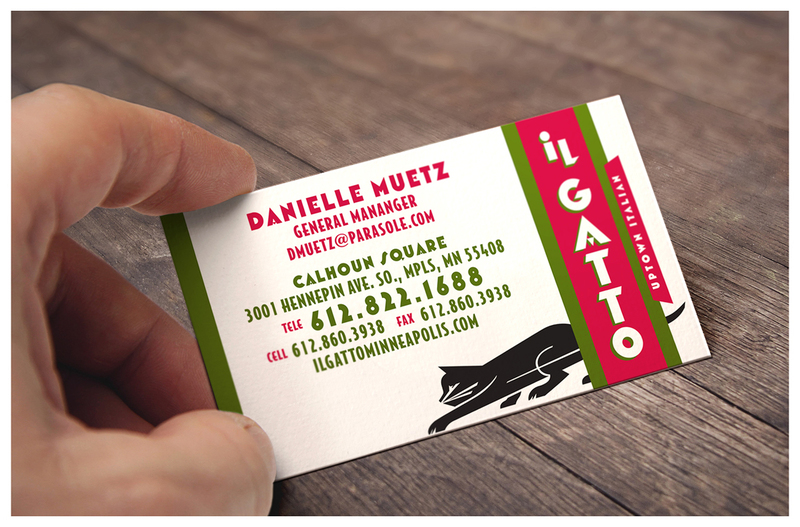 Il Gatto business cards featured the restaurant’s Futurist-style “mechanized cat” illustration. 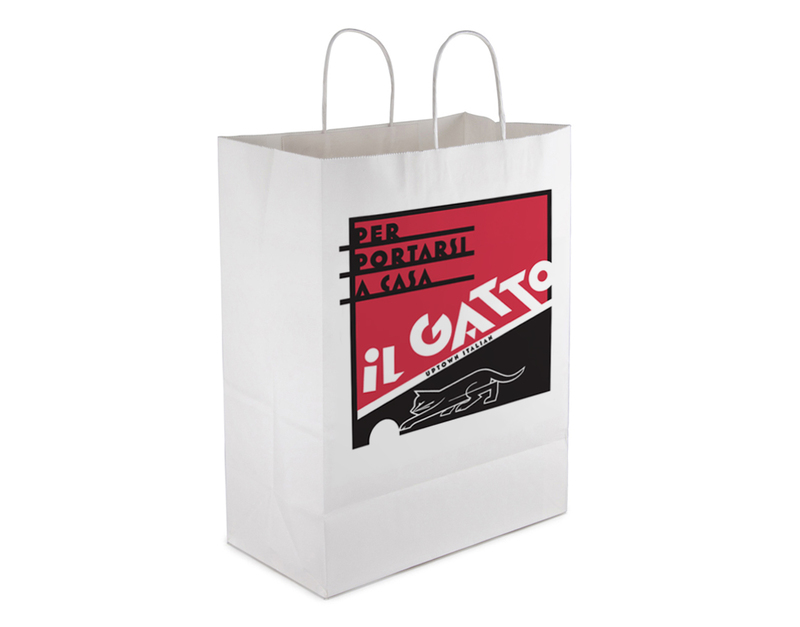 A bag for takeout and leftovers conveyed the restaurant’s distinctive brand identity. 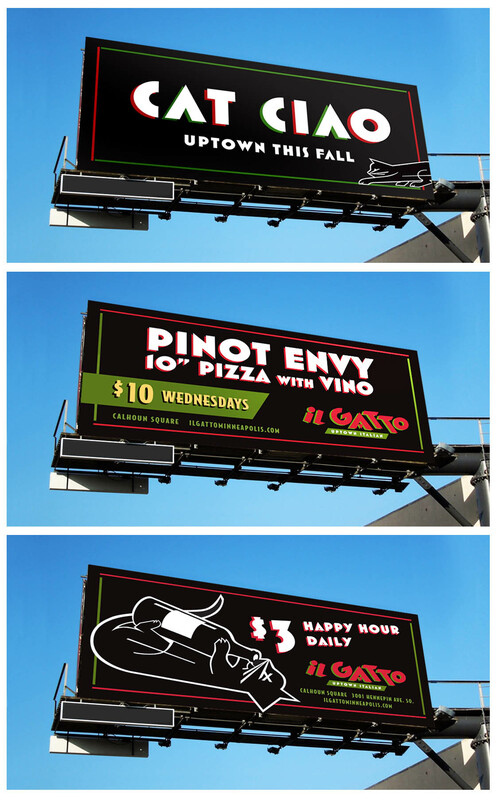 Billboards teased the opening of Il Gatto. 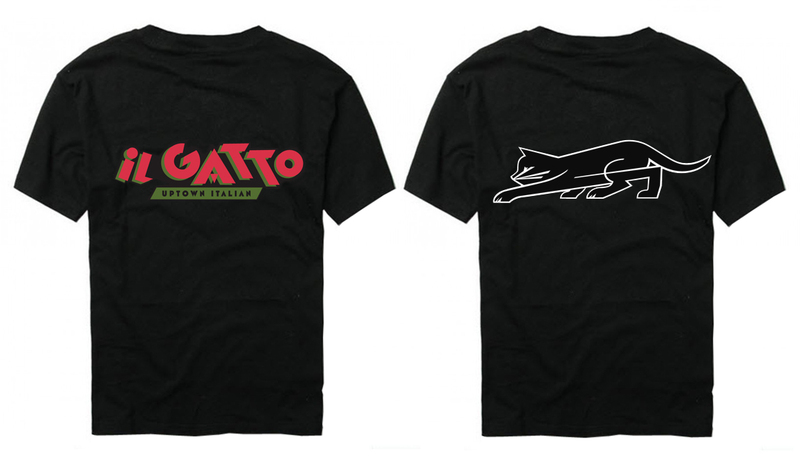 Supervox created two t-shirt designs for staff. 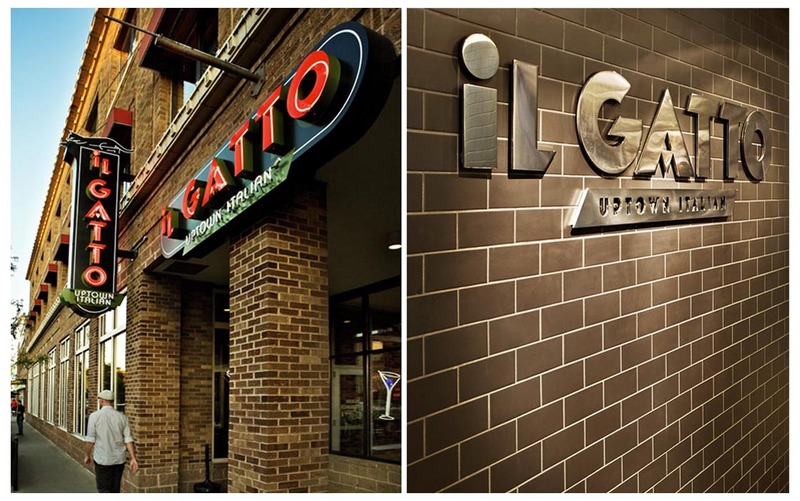 Almost every command on the Il Gatto website generated a pair of photos that juxtaposed images illustrating the restaurant’s dual focus on the classic and contemporary.